Our vision is to raise the bar for men so that they actively grow in their faith in Christ, transform and engage their community, lead and take initiative in both home and work life and identify and serve the needs of those around them. We are always interested to hear your thoughts, please click here to take this quick pulse survey. Encouraging and empowering discipleship through a group setting with the goal of each man growing spiritually and relationally. Demonstrate humility through an attitude towards learning. Men will be challenged in a large group setting to reflect upon the hardships like lust, pride, work, and striving that we as men all struggle with. Fostering the practice of true leadership through service to those around us, including our community, church, family, friends and all others in need. 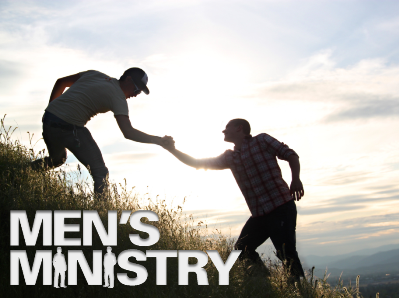 Advocating for men to gather regularly with the goal of connecting at a more intimate level and broadening our relationships. Espousing a spirit of inclusion, especially towards men who are outside of the church. This initiative is desired to be one of natural enthusiasm for the Lord and our mission. Believing that followers of Christ should be joyful people to be around and that fun and fellowship are a vital part of our lives.